Whatever do you mean, they’re not all here to see me? 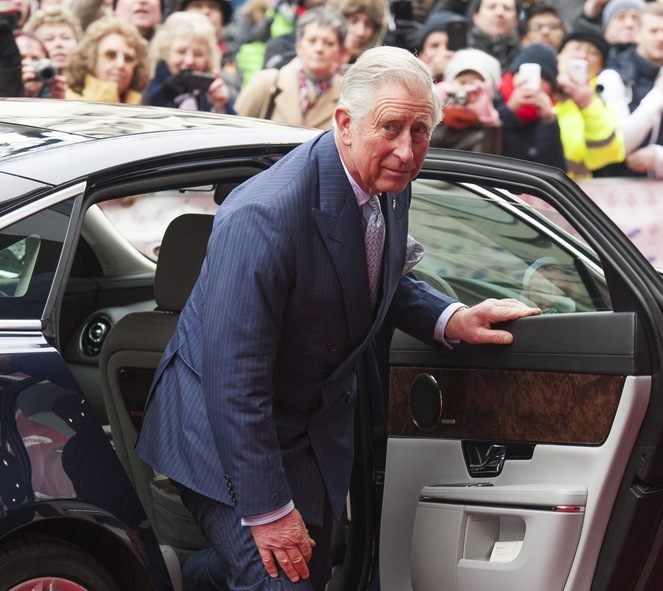 According to a Daily Beast report by someone we trust for being British, Prince Charles now wants to control the “media operation” responsible for all that fawning coverage of the more glamorous members of the royal family. Before you ask, there is a real story here. Charles is combining the independent press offices of the Queen and Kensington Palace (responsible for managing his own kids and grandson) so as to better consolidate his sway with the British media. We didn’t realize that Bill and Kate had established an office right before they had their baby, but it does make perfect sense. There’s no real parallel here in the states, but we’ll try: it’s something like Barack Obama absorbing Michelle’s press team into his own after watching her get a little too much good press for her health initiatives and cool stunts like this one. We can guarantee that The Sun, the Daily Star and the Daily Mirror will NOT get the message, but Chuck might just be able to persuade The Telegraph to stop obsessing over Kate’s fashion choices long enough to focus on whatever he’s doing at the moment (for the good of the United Kingdom, mind you). So yeah, it’s great to be King—but you still can’t force the public to pay attention to old fuddy-duddys like yourself. Britain isn’t North Korea.